Bible Reference: Genesis Chapter 41. Joseph’s (1915 BC-1805 BC) life was swayed by his dreams and the dreams of others. He alienated his brothers by telling them his dream in which they bow to him. Because of their jealousy, his brothers sold him into slavery when Joseph was 17 years old. Joseph became a slave in a wealthy Egyptian household. Wrongly accused of molesting the owner’s wife, Joseph was sent to prison. During his imprisonment, Joseph interpreted a dream from the cup-bearer of Pharaoh. Later when Joseph was about 30, Pharaoh had a dream that his advisers couldn’t interpret. The reed that Pharaoh dreamed about was most likely the Phragmites australis, also known as the Phragmites communis and the Egyptian, common Reed. 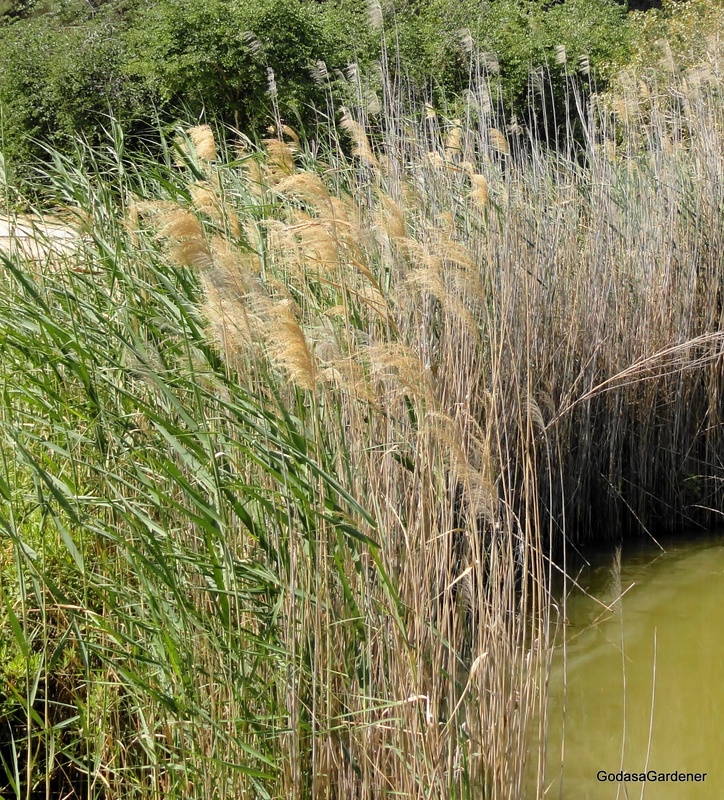 Generally, reeds do not tolerate rapidly flowing water but are well adapted to both fresh and brackish water. The Egyption reed is a tall perennial grass with central stalks called culms. Usually culms grows to a height of 6–9 feet but have been known to grow 16 feet. In the growing season, culms are green, but as winter emerges, stalks become dark yellow or brown. In the Middle East, flowers, called panicles, bloom at the top of the reed from July through December. Initially the flower is green or purplish, but becomes a warm sandy color as the plant matures. Flowers are large (6–16 inches) and showy The Egyptian reed spreads by underground root (rhizome) root extension or when portions of the root or plant break from the main reed and move by water to a new location where they take root and grow. According to Worcester (2009) reeds symbolized material or corporal (bodily) truth and knowledge. Material or corporal truth is the lowest form of truth. Corporal truths change with cultural norms, societal perspectives, and personal experiences. In contrast to corporal truth, Divine truth is eternal and unchangeable. God is defined as the God of truth (Isaiah 61:16). Divine truth can be used as a measuring rod against which individuals in all ages and societies can evaluate personal thoughts, beliefs, and behavior. Reflection: From where do you get your truth? CNN, FOX, your local newspaper, your pastor, or the Bible? This entry was posted in Plants & the Ancient Fathers and tagged Bible, Bible Plants, Bible Study, Bible Truth and Knowledge, Dreams, Egyptian Common Reed, God as a Gardener, Israelites, Pharaoh, Phragmites australis. Bookmark the permalink.